This edition of the National Film Unit’s long-running monthly magazine series features a diverse line-up. The first report covers the opening ceremony of the meeting house at Waiwhetu Marae, Lower Hutt, where Prime Minister Walter Nash and Sir Eruera Tirikatene receive the pōwhiri and haka. Then it’s a canter to Auckland’s 1960 Pony Club Championships; before flowing down south for the diversion of the Waitaki River in the Otago town of Otematata, as part of the Benmore hydroelectric scheme: a massive earth dam destined to be the “powerhouse of the South Island”. Filmed at Kauwhata Marae in the Manawatu, The Beginner’s Guide to Visiting the Marae is a straightforward and respectful explanation of basic marae protocol, from the wero, to the karanga, pōwhiri, whaikōrero, waiata, koha and the hongi. 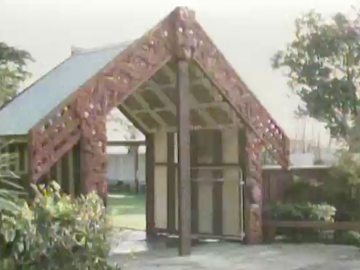 The programme was made in 1984 when Pākehā were generally less familiar with visiting marae, so host Ian Johnstone presents the documentary from the perspective of a person rather more apprehensive about marae protocol than might be the case in 2011. That aside, the doco remains an effective primer for 21st Century marae novices. 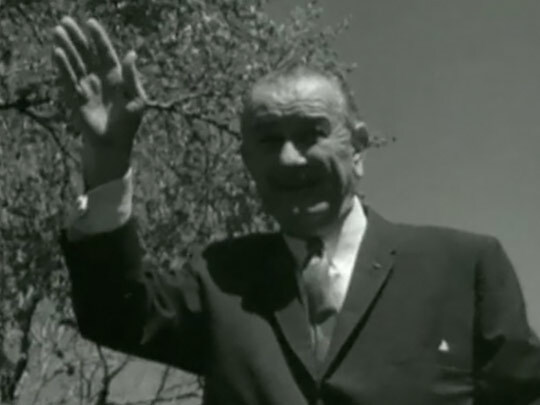 President Lyndon B Johnson's whirlwind visit to New Zealand on 19 October 1966 is chronicled in this National Film Unit documentary. The visit came as controversy grew over Kiwi involvement in the Vietnam War. 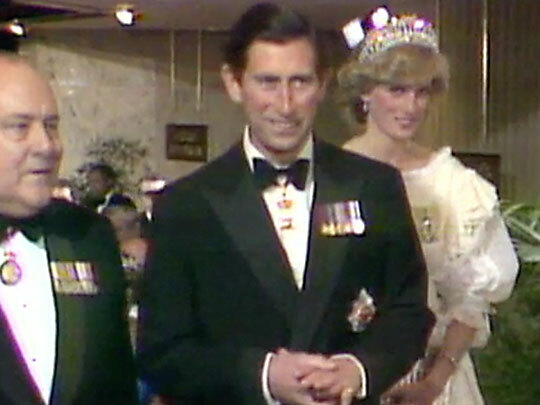 But aside from a few protestors, the first visit to NZ by a serving US President and his wife was greeted with enthusiasm by about 200,000 Wellingtonians. State and civic receptions were followed by the obligatory farm visit to watch a shearing gang, before the President flew out at the end of 'New Zealand’s day with LBJ'. After years of protest, agitation, and court hearings, the Māori Television Service finally launched on 28 March 2004. This is the first 30 minutes that went to air. Presented by Julian Wilcox and Rongomaianiwaniwa Milroy, the transmission begins with a traditional montage of Aotearoa scenic wonder (with a twist of tangata whenua); the launch proper opens with a dawn ceremony at Māori Television's Newmarket offices, featuring MPs and other dignitaries. Wilcox also gives background information on the channel and outlines upcoming programming highlights. 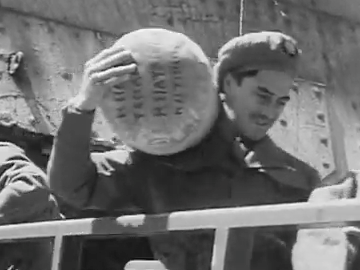 This post war newsreel features footage of Māori Battalion solders returning from WWII onboard the ship Dominion Monarch, into Wellington Harbour. The soldiers are greeted with a huge pōwhiri and ensuing hākari at Aotea Quay where the kaimoana and pia flow freely. 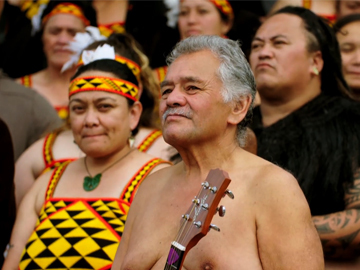 The reel then follows the regional celebrations of men returning home in Kuku and Ngaruawahia. The narrator soberly recalls the casualty rate of the Māori Battalion (five men in seven). 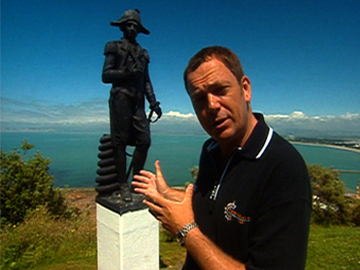 This footage features in the documentary, Maori Battalion - March to Victory.